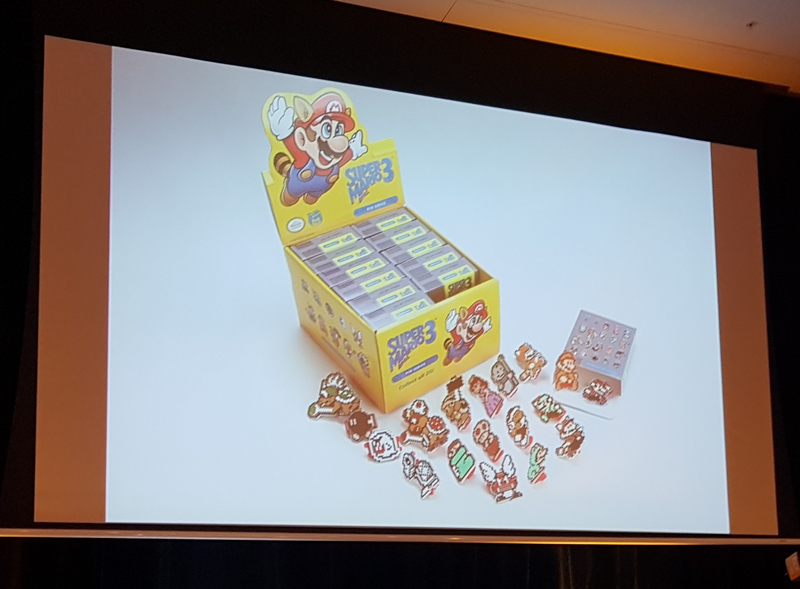 This was revealed at the Aus pin panel and posted on slack by tubby2877. Weird. Only 2 Koopa Kids and no Bowser? Dear God are they planning a Series 2? 20 pins total, 18 shown. Bowser isn't ruled out yet and could be a really impressive large pin, given how huge big mario is in 1-2 set. 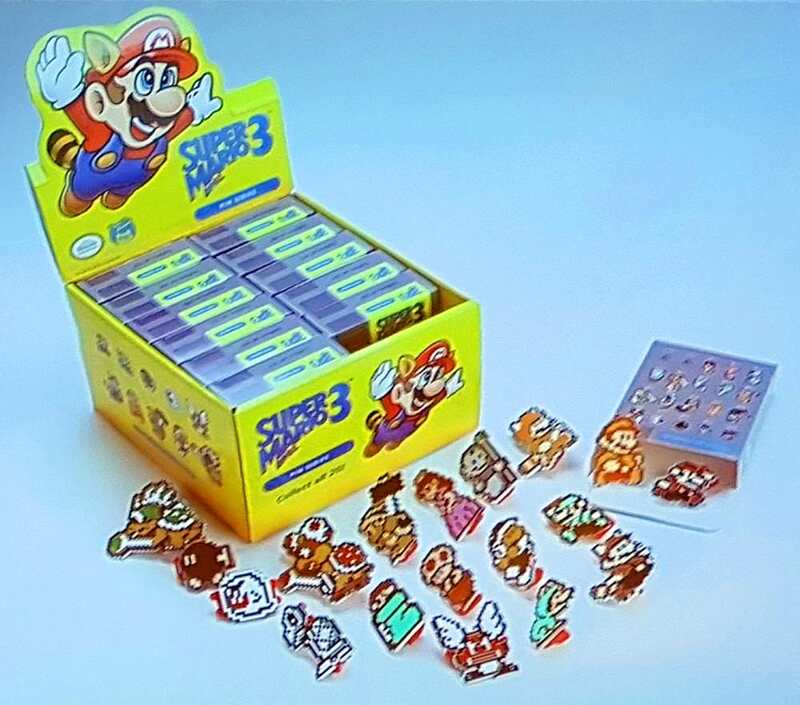 would be pretty ridiculous if they didn't..
You know I think my brain is just now registering that these are specifically SMB3 pins. Any word on if the rarities are going to be flatter like Acq Inc? Or more brutal like Armadeaddon? Anyone know when these become available? Holy moly, the boxes are PERFECTION. Oh man...I'm trying to figure out which ones I wouldn't be happy getting...I guess I'd have preferences: Like half of the set! Oh dang the first blind box I'm excited about. When are these coming out? Theres no release date - we don't even have a direct image. This was shared with the Aus community pin panel just the other week. Hopefully more will be known soon. Based on the listed rarities, the unknown rarity pins (if equal) are each 1/300. More likely a combined rarity of 1/150. But then the listed rarities were wrong for the AI blind boxes, so who knows? If there were 300 pins, there are 20, 15, and 12 of each of pin at each rarity respectively. So 20*8+15*6+12*4=298. So for every 300 pins made, there are 2 that aren't in the listed probabilities. It could of course be something like 12/3000 and 8/3000. Price hike because it is Nintendo? Eh. So i suspect Bowser will be one of the ??? . What will the other be? Behold the Super Mario Bros.™ 3 Blind Box. There are two secret “chaser” pins in this set, including the largest Pinny Arcade pin ever manufactured. And, just as with the now sold out Acquisitions Incorporated Blind Box series, there’s a “case pin” this time around - available with orders of a full case - that is sure to delight the true aficionado. There’s something about this precise shade of yellow that stirs something very deeply in the nostalgic soul, and we could not be more proud to bring you this delightful set. I'm a bit sad that they released these days after the Green Flame hoodie and other blind boxes, since I immediately ordered them...extra shipping cost. Hoping my Club PA discount that dropped my $100+ dollar subtotal below 100 doesn't lose me the merch pin; then I'd be extra sad since the Mario pins would have easily put that over the top. Yeahhh. The full case is $240 though which is the same as the Acq Inc set, so there's actually a decent bulk "discount" this time around.  My guesses on the unknowns are Bowser and the Angry Sun. It could also be a P-wing, but it seems the theme is all characters. If there's an Angry Sun pin I'm cashing out of this hobby. Nightmare fuel. As a Nintendo fan, I just had to have these! As expected...but dang do I ever still want it. 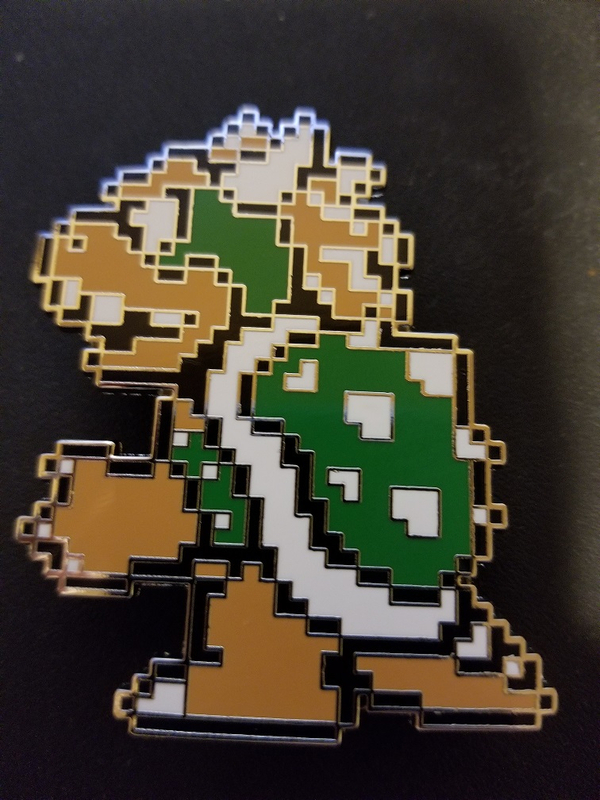 Is Bowser the “biggest ever” pin? It's definitely the biggest pin I have. I'll post a comparison when I get home. @Pavio Nice! Yeah...Bowser was missing from the box photos. It was a guarantee he was one of the unknowns. Looks like the other unknown pin is the leaf. though I may be wrong. If you go to PinnyPals to update your lanyard you'll see the "super leaf" pin (which is not pictured of the box) next to bowser.